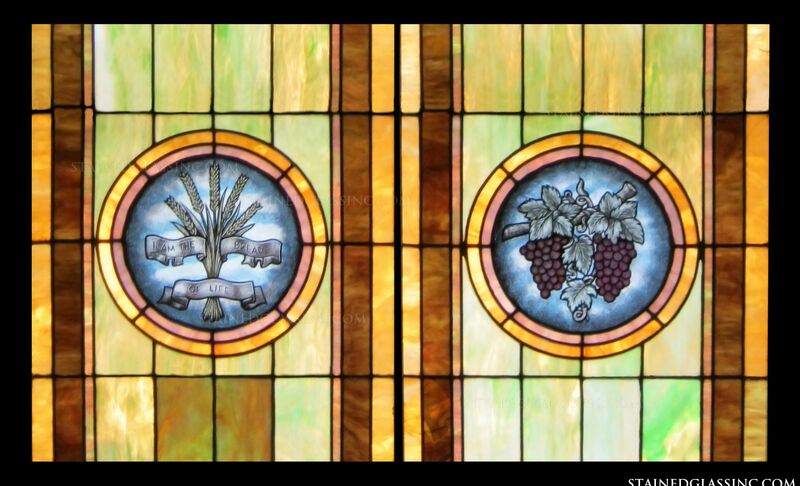 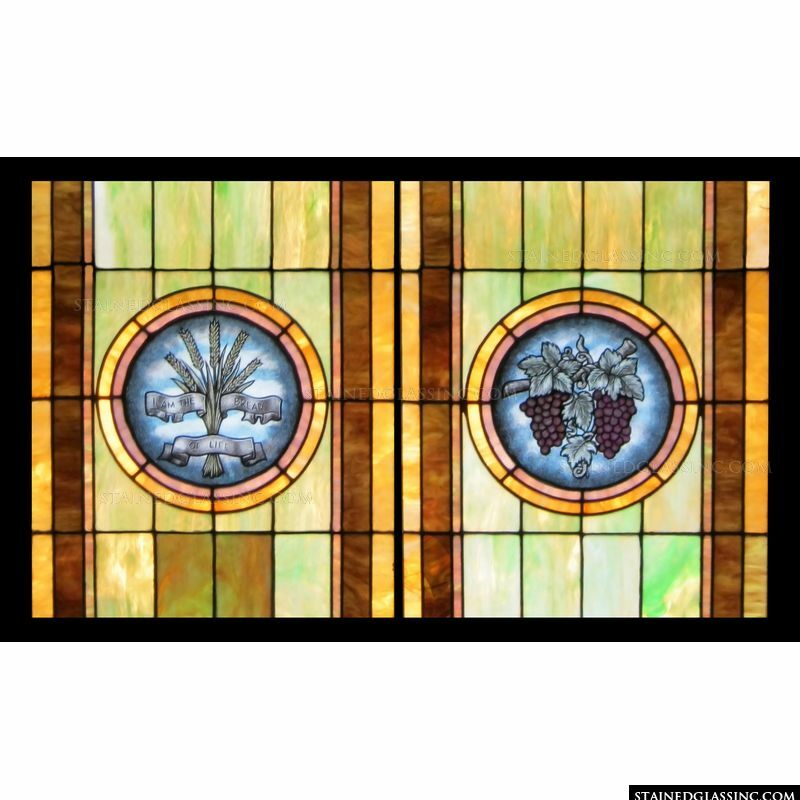 This stained glass panel offers two symbols of the Christian faith, wheat and grapes, which often signify the body and blood of Christ as the redeemer of mankind. 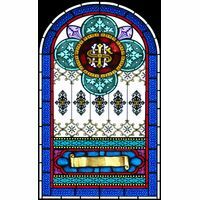 The stained glass panel also features beautiful variegated colors and shading that frame the symbols. 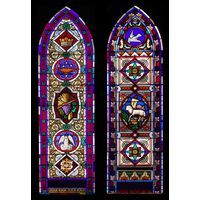 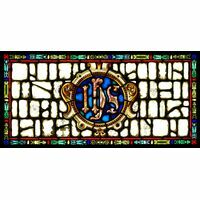 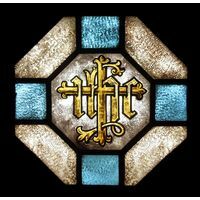 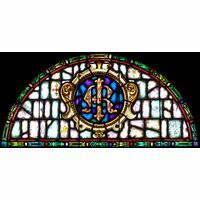 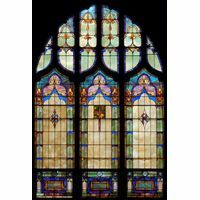 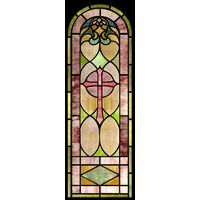 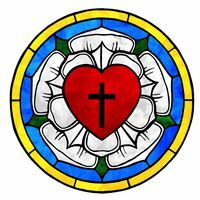 This particular stained glass window or door insert is perfect for a chapel, church or home.